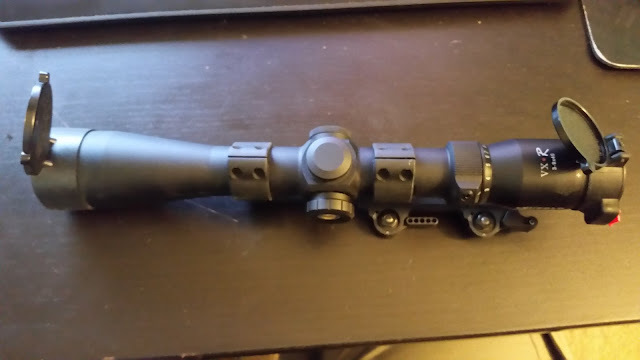 Looking to sell a lightly used Leupold VX-R 3-9x40 scope in a Larue SPR-E mount. 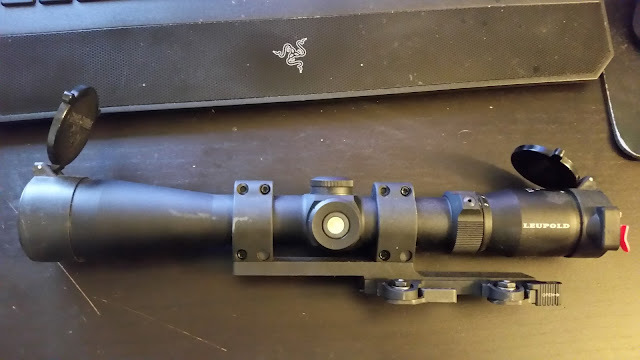 Scope was used for 2 hunts and then kept in the safe pretty much the rest of the time I've had it. It has the Firedot Ballistic Reticle and the glass is clean. There are a couple small marks on the scope and mount you can see in the pic below from things going in and out of the safe next to it. 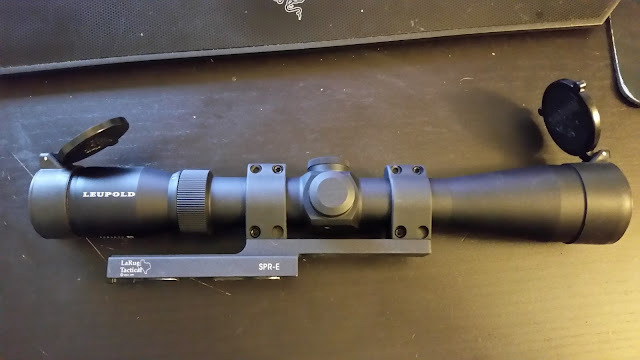 Asking $525 for the scope and mount and would prefer to sell together. Payment via USPS MO or PayPal (gift or +3%) accepted. Contact via site IM works best. August 2011 VA Earthquake survivor. I'll take it! PM sent for payment instructions.